Drum roll please.. the moment you’ve probably been waiting for – now is the time to meet the creative and crazycool people behind Startup Estonia, who are working to make Estonia THE PLACE for startups! Mari, The Head of Startup Estonia knows everything! Well, maybe not just everything but when it comes to startups and starting up in Estonia, then she’s the right contact. She’s responsible for all the strategic matters under Startup Estonia, partnerships and Estonian Development Fund’s new investment strategy. She’s also the main contact when it comes to smart money, business accelerators and business angels networks. Kadi is responsible for all matters related to communication as well as ecosystem growth and development. She is a firm believer that a strong community of startups and ecosystem partners is the key to global success for Estonian-based startups. She is focusing on developing and executing strategies to build and strengthen the Estonian startup ecosystem, developing the marketing and brand strategy and helping to define and execute on the growth opportunities within the Estonian startup ecosystem through relevant training programs for startups, angel investors, incubators and accelerators. Mirjam is The Lady, when it comes to ecosystem development and matters about cybertech. She knows that a tight-knit, well established ecosystem with the right attributes really does make a difference. She tries to find ways to make the ecosystem even better then it already is. You can contact her about ecosystem development, especially with any requests concerning startup events in Estonia. Henri is in charge of the startup training programs. He works with the implementation process of the Startup Estonia program and is focusing on startup trainings and mentoring activities directed to the startups with a goal to bump their skills to the next level! Marit really makes the world a better place, as she is taking care of the cleantech ecosystem development. Marit is passionate about building a collaborative platform, that helps to foster cleantech entrepreneurial ecosystem. She is the national lead for Climate-KIC and ClimateLaunchpad in Estonia and the contact person for international partners. Turn to her with ideas about partnership, networking events and cleantech startup activities. Caroline is your main person to turn to regarding Climate-KIC Accelerator, startup education and healthtech startup ecosystem development. Caroline establishes the necessary conditions for teams to succeed. She runs entrepreneurship and education programs with the aim of creating Estonia’s next success stories. Rivo is our prophet – he is the person when it comes to startup data, regulations and foresight, being able to predict, which direction is the startup world moving. 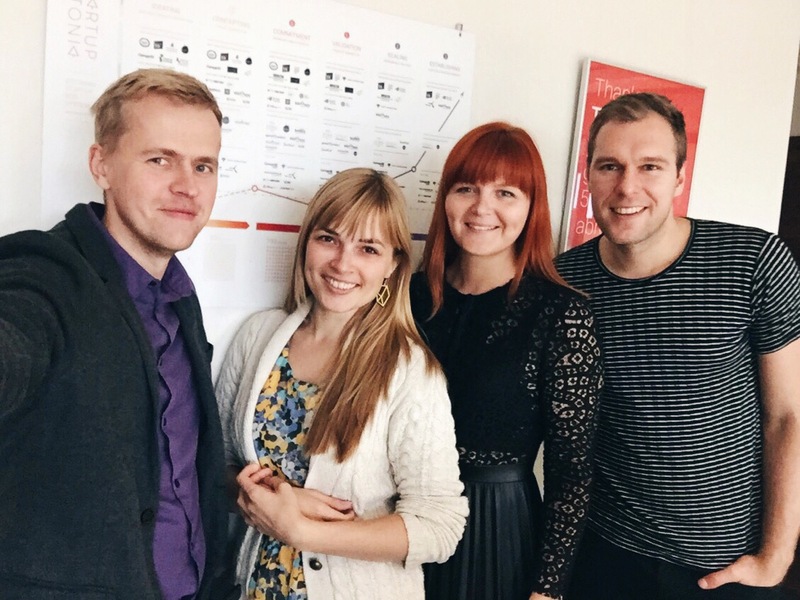 Startups really do matter and Estonia rocks, Rivo will make you a believer! He makes his point by collecting data and envisioning the startup ecosystem of the future. Barriers need to be put aside, and when it comes to regulative matters, he is the one to contact! Now you know us a little better. We hope to get to know you too – feel free to let us know any of your questions and thoughts!